Only gradually has it really struck me that we’re not living in an age of great Mozart singing. I used to attend nearly every Mozart revival at the Met—especially of the three da Ponte operas—but not so much lately. I was shocked to realize I hadn’t seen Don Giovanni there since Michael Grandage’s stultifying production opened in 2011, but no fewer than four company debuts enticed me back to it Wednesday evening. If many aspects were problematic, the whole proved satisfying thanks primarily to the commanding presence of German conductor Cornelius Meister. His was a young man’s reading: fleet and transparent with lots of glowing details particularly in the winds. First performances, especially of ensemble operas, can prove erratic and on more than one occasion particularly in the second act his cast failed to keep up with his swift tempi but all in all they worked together well bristling with energy. If it wasn’t yet a Meisterly reading of a challenging score, it demonstrated that he could be a worthy addition to the house’s roster, the latest of an impressively large bunch of new, alas all-male, batons appearing on the Met podium this season. The three other debutants left more ambiguous impressions with the most promising being Italian soprano Federica Lombardi as Donna Elvira. At first, she was the self-dramatizing virago, her big soprano verging on harsh and inelegant. After intermission she, like her character, softened and gave us some finely shaded singing in the trio with the Don and Leporello. “Mi tradì” seems to defeat many sopranos but she made a healthy stab at it, evincing a touching vulnerability behind her often steely exterior. There didn’t seem to be a lot of warmth to her soprano but I’d be curious to hear her again. Her fellow newcomer Aida Garifullina was less successful. Despite lots of high-profile gala appearances and a tart Q&A with People magazine, the Russian soprano’s Zerlina was all hard and glassy surfaces, pert but charmless. It’s been a long time since I’d heard a “Batti batti” and “Vedrai carino” go for so little. Meister set a particularly brisk pace for the latter probably aware she might not have been able to float a more intimate and caressing reading. It speaks volumes that her tall and forthright Masetto, the immensely sympathetic Brandon Cedel, was the more captivating of the pair. Admittedly Don Ottavio is a tough role both vocally and dramatically but French tenor Stanislas de Barbeyrac gave one of the most off-putting interpretations of it that I’ve ever encountered. His vocal line, rather than suave and loving, was explosive and unlovely as he constantly played with extremes of dynamics in a self-conscious and unconvincing manner. His eccentric Italian further marred his mannered “Dalla sua pace,” and “Il mio tesoro” suffered from peculiarly idiosyncratic phrasing and less-than-mellifluous coloratura. 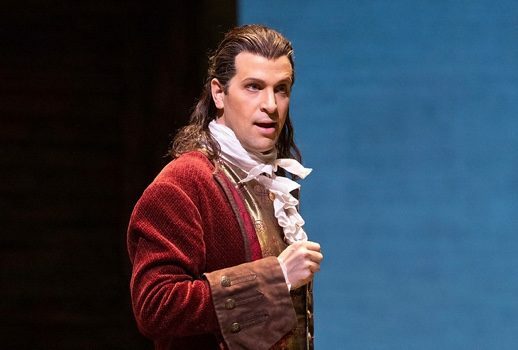 I was nonplussed to read that Ottavio had also been his debut in San Francisco and that he’ll appear in it again in upcoming performances in both Munich and Paris! His reticent would-be fiancée proved less frustrating but still somewhat disappointing. After her recent sumptuous Rosalinde in Die Fledermaus opposite Jonas Kaufmann at the Semperoper in Dresden, I was looking forward to Rachel Willis-Sørensen’s Donna Anna. I imagined it would suit her better than the Countess in Le Nozze di Figaro, the only role in which I’d heard before. She came on like gangbusters slashing through the struggle with Giovanni then the vengeance duet with Ottavio with a vivid intensity and gleaming high notes. After a riveting recitative recounting her attack, she stumbled a bit in “Or sai chi l’onore” and the top for the rest of the evening became small and narrow. Her earlier boldness retreated as the high tessitura taxed her, and she lacked energy in an earnest if unpersuasive “Non mi dir”—but no wonder given her brashly eccentric Ottavio. Happily, the evening’s compulsively seductive anti-hero and his reluctant co-conspirator easily dominated the show. Ildar Abdrazakov returned as a warmly attractive, decidedly un-buffo Leporello, his third Met role in this opera after his debut as Masetto in 2004. He brought a winning naivete and affability to the Don’s servant and especially his faux-flirtation with the all-too-gullible Elvira. A vivacious but straight-forward “Madamina” was unfortunately undermined by one of Grandage’s clunkier ideas (not that there are all that many ideas at all): during the aria 20 or so anonymous women appeared and stared blankly on each balcony of Christopher Oram’s monotonous, monochromatic set. Surely having such a sturdy and responsive partner was a boon to Luca Pisaroni who was singing his first-ever Don Giovanni after many years as an acclaimed Leporello. As with his recent transition from Figaro to the Count in Nozze, his new assumption suited him admirably. Perhaps inevitably, no one else’s recitatives flowed as naturally as Pisaroni’s; Lombardi, the other native Italian speaker, was far less than vivid with her words. Perhaps because Grandage’s production has no point of view about Giovanni, his characterization for the moment was a bit un-specific and all-purpose. It was difficult then to connect his suave but undangerous behavior with the fiery damnation meted out in the finale. Vocally his hearty bass-baritone coped well with the role although he ran out of steam toward the end of a nearly breathless “Champagne” aria. His “Deh vieni alla finestra” blandly sung to a blank wall might not have been the most alluring but “Meta di voi qua vadano” exuded a cunning danger. Pisaroni, with Abdrazakov and Stefan Kocán as the Commendatore, collaborated with Meister in an awesomely fiery final scene suggesting that this new Giovanni might prove to be a real contender given a challenging production. Somehow despite all the evening’s vagaries Mozart prospered unscathed, but I had to reflect back on my first Met Mozart—Così fan tutte almost exactly 37 (gulp!) years ago on January 29, 1982 when the ladies were Kiri Te Kanawa, Maria Ewing and Kathleen Battle! Inevitably I recall it more fondly than last season’s dismal Coney Island bomb. But it must be said that both Gerald Finley and Peter Mattei (who returns to the role in April) have given the Met “golden-age” Dons not so long ago and just this winter the Met conjured a fine Tamino from Ben Bliss alongside Erin Morley’s exquisite Pam (the harshly truncated English version only gave her about half her role), so I haven’t entirely lost hope. Perhaps Ivo van Hove’s sure-to-be-provocative new Don Giovanni due in a few seasons will transform Mozart’s Met fortunes although the house’s upcoming La Clemenza di Tito looks mighty promising.